The Model 10000W1000A is a self-contained, air-cooled, broadband, completely solid-state amplifier designed for applications where instantaneous bandwidth and high gain are required. Push-pull circuitry is utilized in all high power stages in the interest of lowering distortion and improving stability. 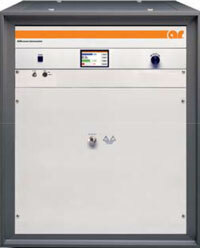 The Model 10000W1000A, when used with an RF sweep generator, nominally provides over 10000 watts of RF power. The Model 12500A225A-L is a self-contained, broadband, completely solid state amplifier designed for applications where instantaneous bandwidth and high gain are required. The amplifier is liquid-cooled for high performance and reliability (majority of the heat is removed via liquid cooling). Push-pull LDMOS circuitry is utilized in all high power stages in the interest of lowering distortion and improving stability. 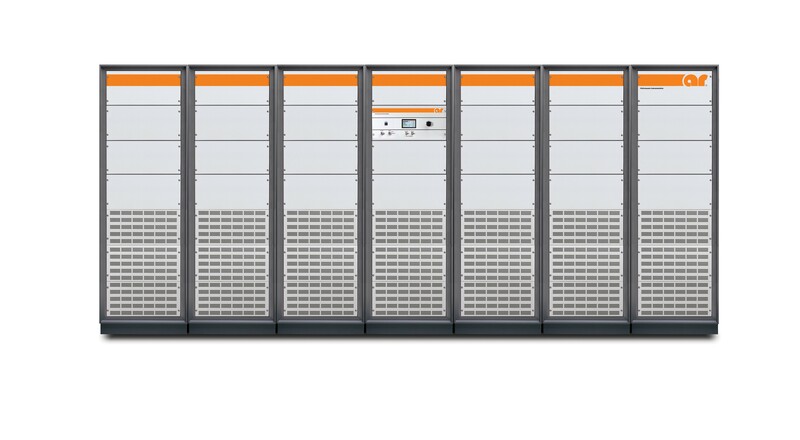 The Model 20000A225A-L is a self-contained, broadband, completely solid state amplifier designed for applications where instantaneous bandwidth and high gain are required. The amplifier is liquid-cooled for high performance and reliability (majority of the heat is removed via liquid cooling). Push-pull LDMOS circuitry is utilized in all high power stages in the interest of lowering distortion and improving stability. The AS03007 AR System has been specially designed to perform Automotive Conducted Immunity testing over the frequency range of 10kHz–3GHz at test levels of up to 500mA. 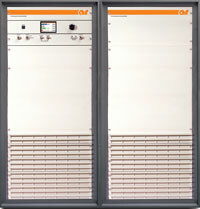 The signal generation, power and current monitoring, and control equipment are housed in a ventilated, 30U (52.5” panel height), rack cabinet. All internal RF and control cabling and AC power distribution is included. This AR system can be controlled remotely using AR’s emcware. You will have access to both PDF and an in-browser version of the catalog.